Studio spaces? Hell I want to live in ALL of them! Love them all! It's totally my style. i love that there's so much art displayed. I love the framed bathing suits. Love all the windows and sliding doors within the space. And the white wood floors. Thank you for sharing. Wow. That first picture is jaw-dropping. Totally inspiring. Wow- love the framed swimsuits- very cool! thanks for the link...so glad you likey. 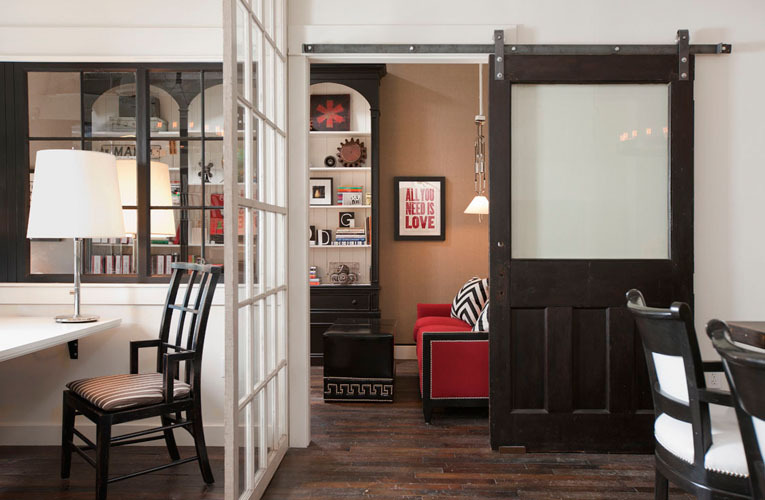 Love the art & the color scheme, the sliding doors (!!!) & shiny white lacquered floors. That camel colored wall in the first photo is perfect.